I feel like I say this every month, but I can't believe how quickly May flew by! I didn't end up posting nearly as much as I would have liked, but it happens. I think I used up all my blog energy for the month writing this post. I am grateful for the support and understanding, it was really scary putting it out there. 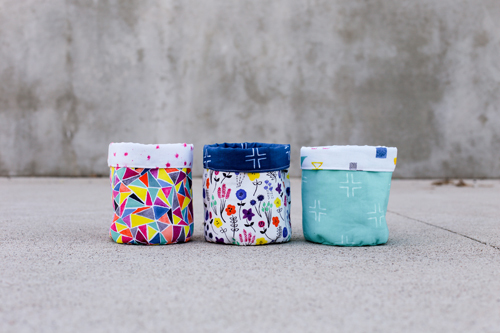 In May I found myself traveling to Upper Michigan to help Holly sew with her first fabric collection with Cloud 9, Brushstrokes. We got a lot done in a short weekend! Make sure and check her Instagram for her beautiful Quilt Market display! At the end of May, it was finally time for a trip to Nashville! Jacey flew in and we spent the weekend with Amanda and her sweet girls. I ended up driving, but split the drive both ways to make it a little easier. We went to the zoo (highly recommended! ), spent a day sewing together, ate lots of delicious food, and even played Exploding Kittens! I finally finished a knitting project, my Citadel hat! 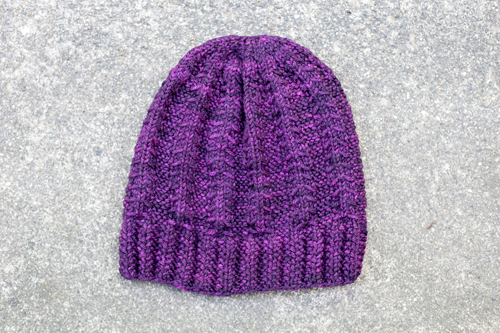 I hadn't finished anything since January, so it felt good to get something off the needles. I feel okay about how I did with my yardage this month. I did finally buy some yarn, but it was worth it. One of my favorite local yarn shops, the Wisconsin Craft Market, started stocking Hedgehog Fibres Sock and Twist Sock, which is super exciting. I've never been able to get my hands on any, so I bought a few skeins. On the fabric front, I visited a few destination shops: Craft South, Hancocks of Paducha, and Quilt in a Day. To be able to only net 1/4 yard seems like a win! 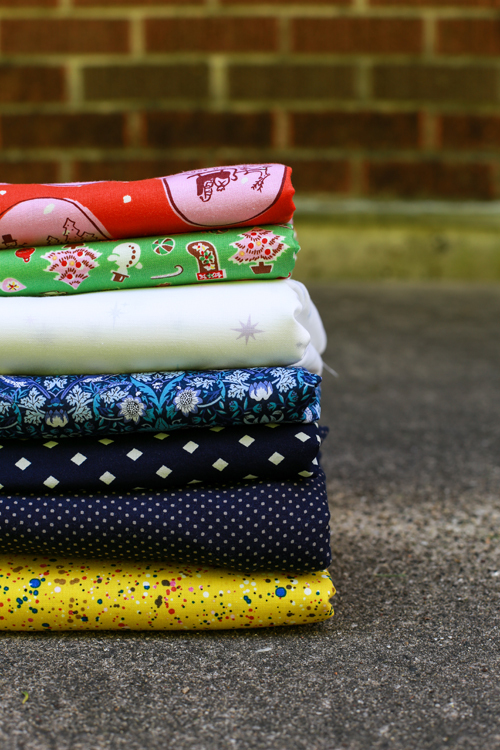 The majority of May's yardage is two quilt backgrounds worth and a couple garment cuts. Will hopefully make more of a dent this month! On my other goals, I pretty much had an epic fail this month. I didn't touch my double wedding ring wedges. I didn't sew any new garment patterns. I did get four quilt tops put together, backings made, and sent off to be quilted. 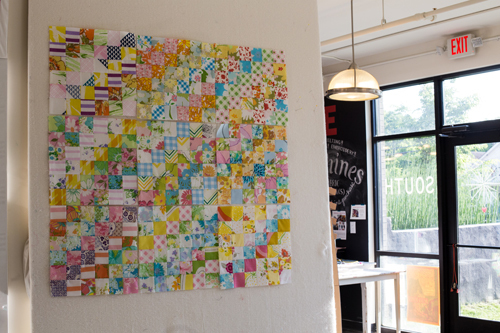 I sewed nine blocks for my vintage sheet scrappy trip quilt. I worked on gift sewing, and made a few other things here and there. I'm disappointed to admit that I fell off the wagon with my Project 365 too, completely. It be honest I had to fudge a day in April, so it was already in danger. 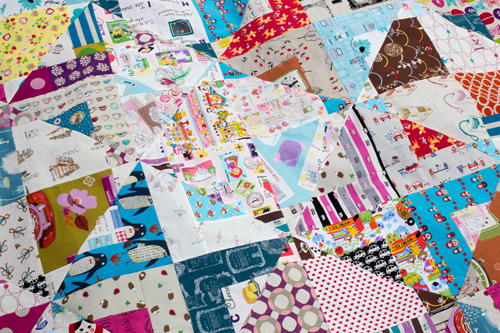 Jeni that top quilt layout is gorgeous. Pinned. It really takes a eye to put together scraps like that and your combinations are lovely. I feel the same way about May. It disappeared. But as long as something is moving forward, even if a bit slowly, I'm good with that. Forward is better than standing still. George is such a cutie. Love him. I always love to see the pictures of George! I agree with everyone! George is adorbs and the quilt you're piecing in the top photo is to die for. I need to try something like that. Thanks for the inspiration! George is the most cute adorable cutiecute bunbunboy ever. I have two cornish Rex kittyboys and they kind of remind me of bunnies sometimes.... other times, monkeys.